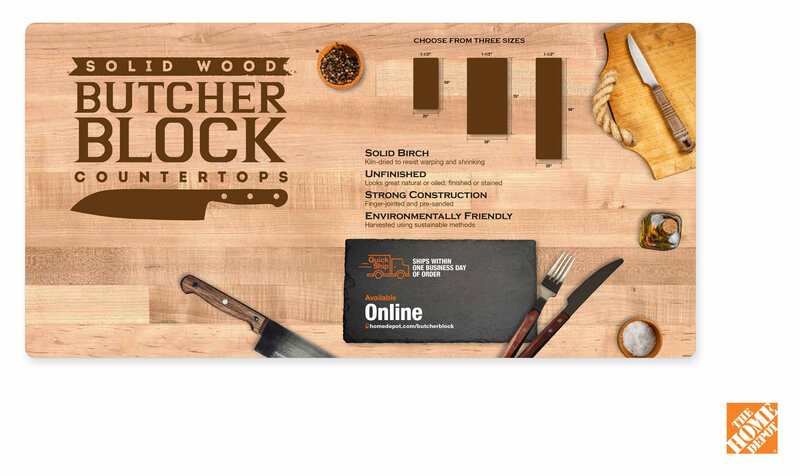 Design of Butcher Block Counter top Artwork. Featuring sizes offered as well as benefits. All printed onto the Butcher Block for In-store Display to help boost sales.